No such thing as a Starter Bird! We get this question a lot and it always saddens us. The answer is that there is no such thing as a starter bird. There is no one breed that will be easier to handle or less work. There is no one breed that is guaranteed to be quieter or bite less or train faster. There is no such thing as a bird who will live a short life so you can have a trial run before you decide you want a larger bird. That simplydoes not exist. Birds are life time commitments and the day you bring home a bird you are dedicating a decade or more of your life to this animal. Budgies can live around 8-10 years, cockatiels 20-25, conures 25-30, quakers 20-25. And those are just the smaller breeds. It only goes up from there. You will find so many of the birds in rescues are cockatiels and conures because of the fact that so many people buy them as starter birds and then decide owning a bird is not for them. They tend to go through multiple homes as they are passed on from one “starter bird” home to another until they finally end up in a rescue. In many ways, they are at more of a disadvantage then the larger birds who tend to be purchased by already experienced homes. So how do you decide what bird you should get? First, do your homework on owning birds and make an educated decision on whether or not living with a bird is the kind of lifestyle you want. If after you have done all your research and you still feel that living life with a bird is something that fits your lifestyle then congratulations, you have taken your first step in parronthood. Next, go to a bird rescue to interact with birds. Spend as much time as possible socializing with all the different birds. Keep an open mind. Socialize with the little guys and the big guys. What you want more than anything is to find a bird that bonds with you and vice versa. That bond is what will make your relationship with your bird worth wild. If you don’t feel bonded to your bird there is a greater chance that you will give up and rehome your bird. Be prepared to spend a lot of time doing this. Be open minded to volunteering on a weekly basis. You should be visiting your bird every week in the rescue anyways, but by volunteering you learn a great deal more and it prepares you. It is this kind of preparation and education that are the most important things you can do when preparing to bring a new bird into your home. 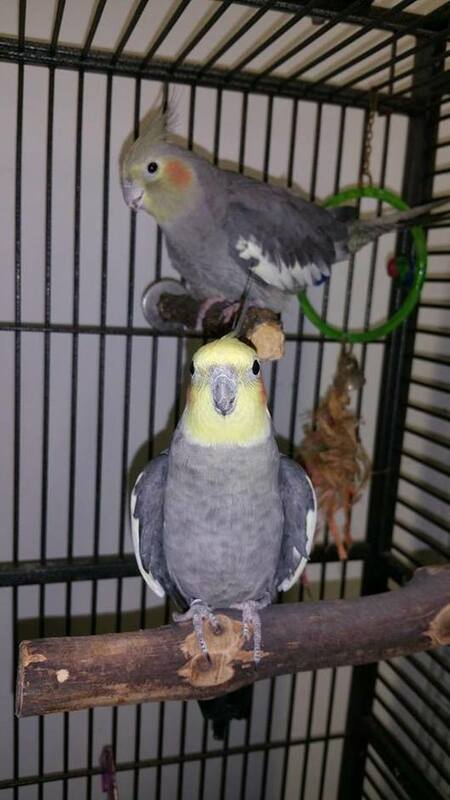 The only difference between the care of a cockatiel and a macaw is probably "poop" size. It's definitely the same commitment. It's very sad to think that people give smaller birds to their young children as a "starter pet". They are all thinking and feeling beings that require the same amount of care and attention.